There are days in which you want to leave academics aside and try something new and different, something other than works by literary greats such as Calderón or Cervantes… Knowing that this is what the audience wants, why not give it to them? This is how Surge Madrid emerged, a collaboration between local venues and the Regional Government of Madrid which promotes performing arts. After three years of thrilling their audience, this initiative which promotes the values of the so-called “alternative” movement returns to boost the companies of this diverse cultural field. During the month of May, the venues in our city, livelier by the day (whether it’s during the day or night), will fill their stages with what they call creativity workshops, where artistic experimentation will be worked upon like if in an expressive laboratory. Which type of event would you like to attend? Surge Madrid has a wide range of options: combinations of poetry with live music, dance, video installations or itinerant rooms which will drive us away from reality. However, if you prefer just to occupy your seat and be swept away by art, it’s best if you attend the premiere proposals. Last year, works such as “Handbook of the perfect traveller” or “Say yes” thrilled the audience in venues such as LAZONAKUBIK and Sala Tarambana. This proposal is helpful to both new talents and schools alike. 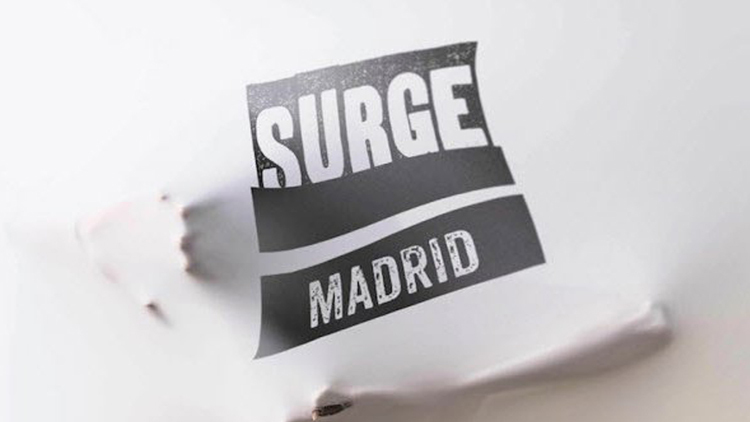 The purpose of Surge Madrid is not only to promote but also to help develop and establish the artists’ careers thanks to the possibilities that the Regional Government of Madrid offers to cultural initiatives. Just like society, drama as an art form changes, moves and transforms itself looking for different ways to express itself and discover new trends.